As I’ve remarked before, it can be surprisingly difficult to locate the addresses of private homes in Japan, even for architecturally significant works. I’ve never known if this is due to Japanese law or merely the result of cultural norms. I feel obliged to play by these rules, but I don’t mind sharing hints on how I located Fujimoto’s works. When I searched for House H, I started with all of Tokyo, then removed all parts of the city that don’t contain the house. For instance, it is blatantly obvious that House H is not located in Koto-ku. Of course, it’s not so simple. Once I remove large chunks of the city, I still need help in finding the specific chome 丁目, street, and house. A complete list of Sou Fujimoto’s works is at the bottom of this post. The following four works are fairly easy to find, since they are medical facilities. I’m not linking to the exact addresses out of partial respect to the patients. (Full respect would be to NOT snoop on them with Google maps). In the photo below (top left), the Children’s Centre for Psychiatric Rehabilitation is the large cluster in the middle of the frame; the 7/2 House is the thin white line at the top, adjacent to the parking lot. The Dormitory for the Mentally-Disabled is the uneven cluster in the middle of the photo, below right. All three buildings are seen together in the bottom photo (rotated, with north at the left). 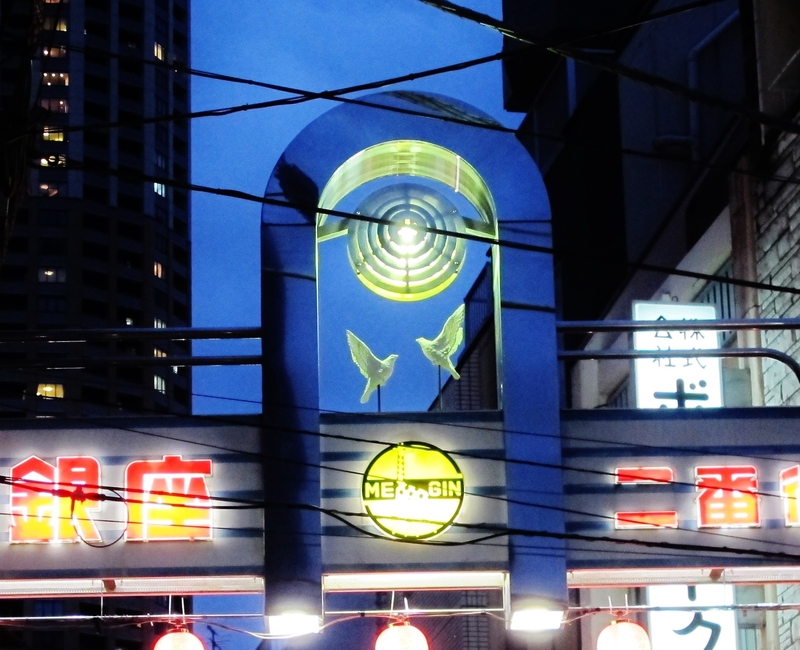 This structure is seen from the street (below, left), and from above, next to the Iburi Horobetsugawa river 胆振幌別川. The building is indicated with a yellow star. I recently saw a flyer for an event at T house, sponsored by 「場所T-house」, the “Where T-house” committee. 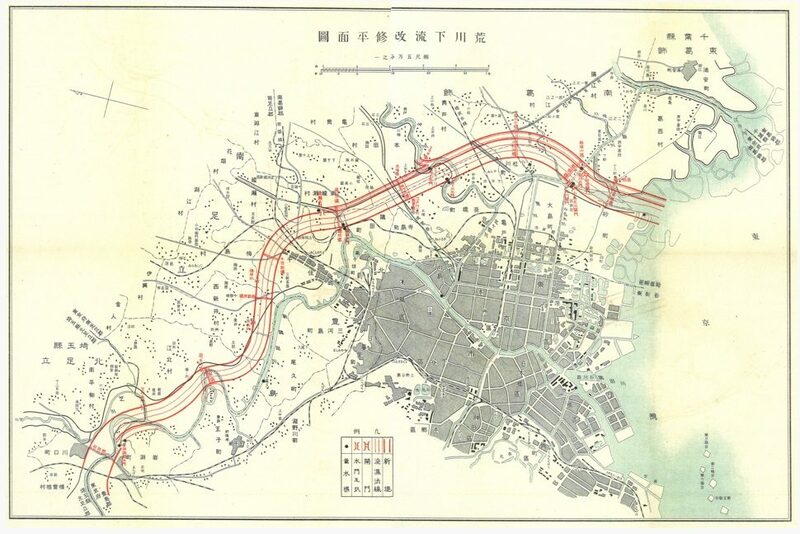 A flyer for the event, which was tweeted by Sou Fujimoto @soufujimoto, includes a map of the house (that’s the Ryōmō Line 両毛線 at the bottom of the map, with JR Maebashi station 前橋駅 at bottom right). The event includes work by Kyotaro Hakamada 袴田京太朗, a noted sculptor 彫刻家. 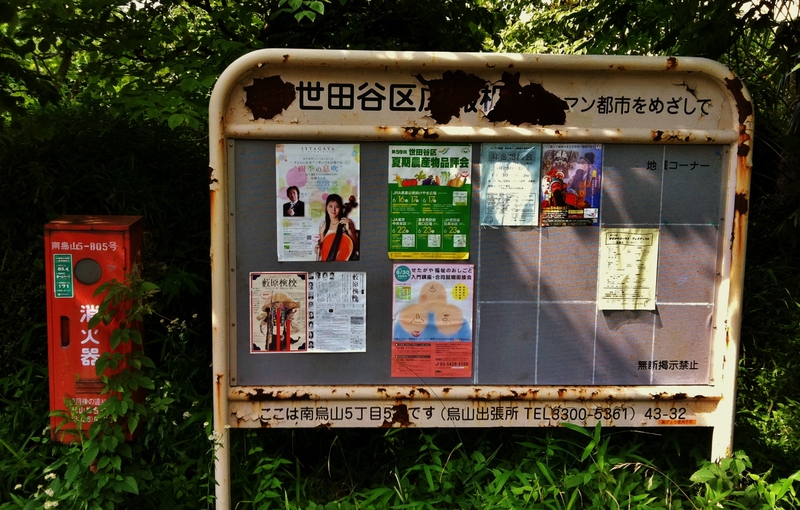 Because the location has been publicized, I don’t mind sharing the address here: 〒371-0025 前橋市 紅雲町 ２ー１５ー６ / Kouncho, Maebashi, Gunma Prefecture 371-0025 (map). We want to produce new forms of collective housing with TokyoApartment. Through this house, and we would like to create a community where you can enjoy a life together with people of tenants. 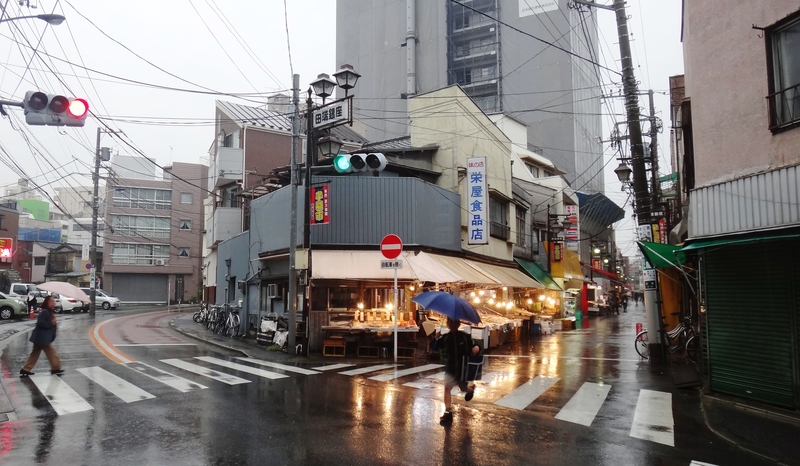 The building’s address is published on its webpage and Facebook page: 板橋区小茂根2-14-15 Itabashi Komone 2-14-15 (map). 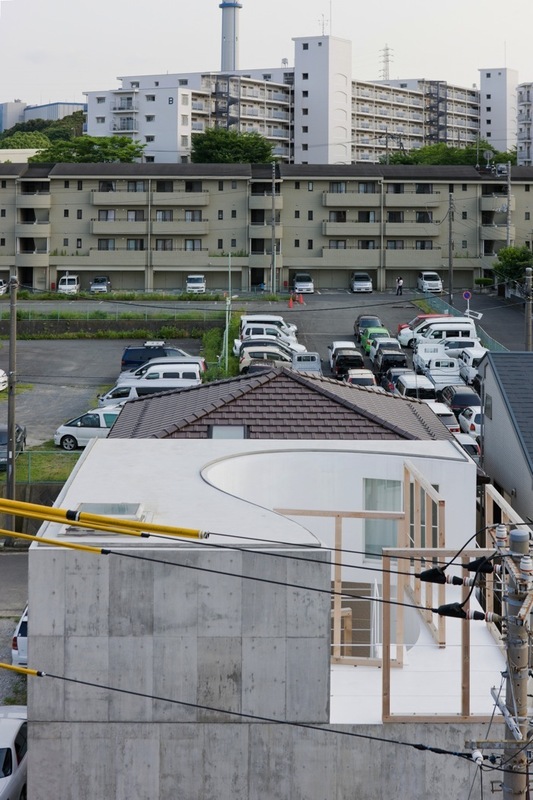 The pictures below are (1) the building in 2015, (2) a “For Rent” at the entrance, (3) Tokyo Apartment during construction in 2009, and (4) the building from above (north is at bottom). House O, sometimes called “Pacific House” for its view of the ocean, is an easy find if you are willing to patiently scan the rocky coastline of Tateyama, Chiba (photos) (Twitter). I dragged my feet looking for House N because I know nothing about Oita city. Fortunately, a photo in the linked article provides a great clue: the name of a local business seen in the distance (approx. 1.5 km away). House NA is the work that sparked my interest in Fujimoto. See “House NA”, Tokyo’s hide-and-go-see-through glass house“. Sou Fujimoto’s glass House NA, Tokyo. Because this work was part of the Kumamoto Artopolis KAP くまもとアートポリス, a public exhibition, I feel comfortable sharing the exact location, which is Ashikita 芦北町, Kumamoto Prefecture 熊本県 in Kyushu, just 1 km north of Kyusendo Station 球泉洞駅 (map). 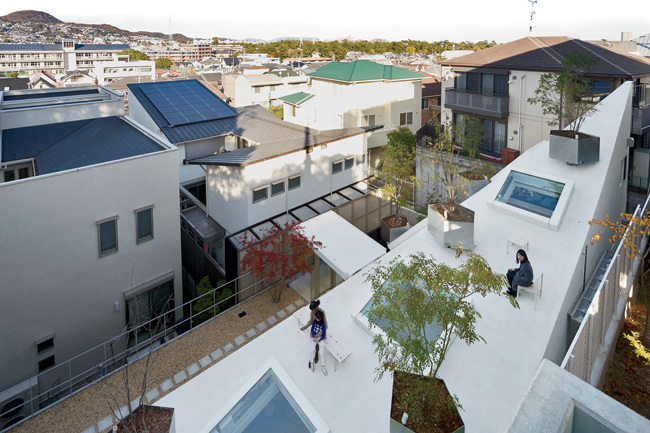 Located "House before House" by Sou Fujimoto in Utsunomiya. House OM should be doable, based on the following photographs. 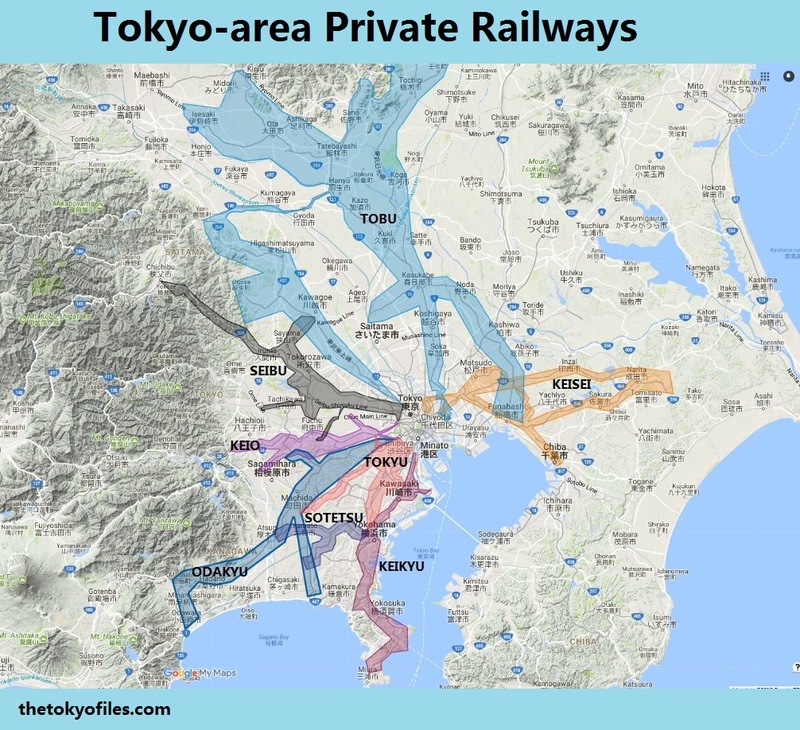 Unfortunately, my intuitive grasp of Yokohama isn’t strong enough to narrow down the location substantially, so I anticipate a fair amount of trial-and-error. The attached pic (link) is also a good view. [Note] this work is the active service of the house. Do not intrude on the premises is carrying tour, also, thank you enough attention to privacy, etc. so as not to inconvenience residents. Hey Clark! Thanks for the great article! I know where the three remaining ones are. If you need some hints or want me to give you the coordinates, let me know! I cannot find House O on the map. Do you have coordinates for me? Could you tell me the local business name in OITA which not far from house N? On the upper right of the reference photo you’ll see a large yellow building with a square white sign with a red logo. This is ヤマダ電機 テックランド大分本店, which is located about a mile away. Could you tell me the local business name in Oita to find the House N? I can’t get it from that picture. Thanks!